Availability: This product is discontinued and no longer available for purchase. For alternatives browse our Golf Accessories department. The Digital Distance Finder takes all of the guesswork out of yardages on the course. The glare and scratch proof superior lens coating ensures long lasting durability. This distance calculator is fitted with a wrist strap and case with belt loop for ultimate convenience. 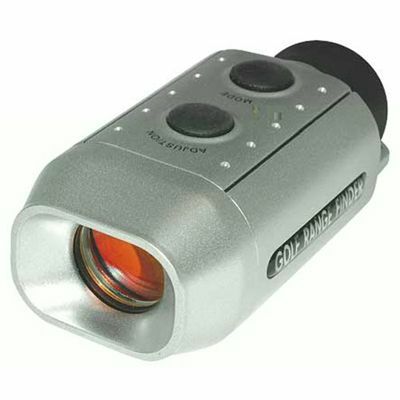 This Pocket sized golf scope combines high-quality optics with built-in digital technology. Save your money multifunction button is a pain and the readings I get are the same every time so it's a toy I gave it to my two yr old God child he loves it. I bought a rwl laser range finder for 92 pounds. Delivery of this product was prompt however it didn't meet my expectation. for submitting product review about Digital Golf Distance Finder.